Paper Industry: Guar gums have better bonding strength which gives hardness and dense surface to paper. Its adhesive properties give paper better handling printing abilities. This also allows improved sheet formation and folding of paper ultimately leading to the production of good quality paper in the desired form. Textile Industry: Because of guar gum powder’s excellent thickening properties, it is a used applied during sizing and finishing of textile products. Guar gum provides better film formation which helps during printing of textiles. Hydraulic fracturing: Today, oil and gas extraction industries consume more than 70% of guar gum powder global production. Guar gum provides high viscosity and better low-shear viscosity than other hydrocolloids. Its tolerance for high temperature and non-iconic nature makes it a perfect additive for fracturing fluids. 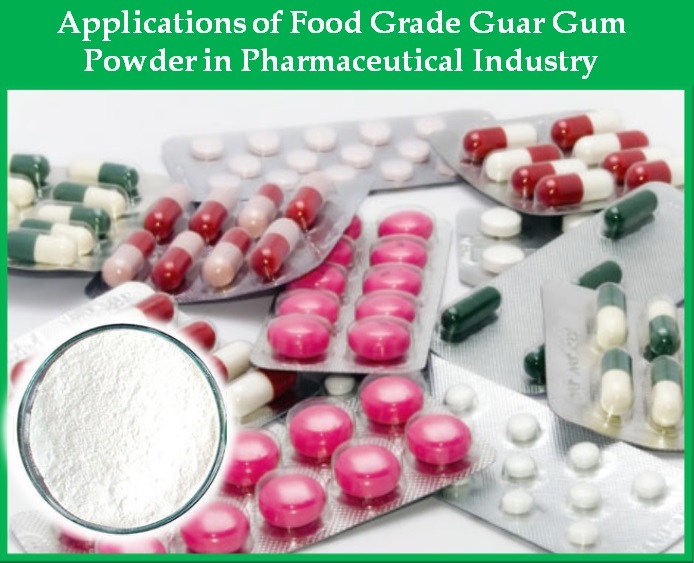 Derivatives of guar gum powder are proving to be more effective by solving the problem of high rate of hydrogen bonding in natural Guar gum powder. Cosmetics Industry: Thickness is an important factor in cosmetics production line. From shaving cream to shampoos, beauty cream to lotions, an effective level of thickness is provided by guar gum derivatives. The colloid present in guar acts as a protective layer when used in skin care products. Bowel Movements: Guar gum, having high fibre content makes it indigestible in the stomach. As a result guar gum reaches the intestine in the original form where it mixes with faces and makes making bowel movement easy. As Guar reaches the intestine, it provides for bulk accumulation of fibre in the intestine which helps retain water level in the digestive system. It is also known to give relief from constipation and chronic related to bowel movements. Diabetes and Obesity: Guar gum powder can help lower the glycemic index by acting as a filler and causing slow digestion of food. This, in turn, helps control diabetes and even removes it to some extent. This also helps to lose weight and treat Obesity condition. Pharmaceutical: Again, because of guar gum powder having its inherent thickening property, it is used as a thickening agent in syrups. For the same reasons, it serves as a binding agent in capsules and tablets. Conjunctivitis: Guar powder can be used as an anti-inflammatory agent in conjunctivitis. Conjunctivitis is a bacterial disease which affects Conjunctiva, the membrane that covers the outer surface of the cornea. This leads to cause burning sensation in the infected area. This powder can effectively reduce this sensation.